One of Hollywood’s most notable horror icons has left us today. 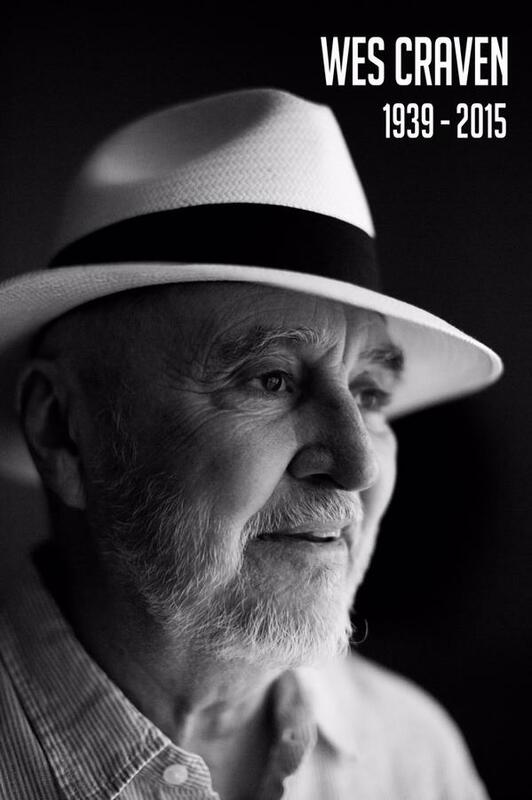 “It is with deep sadness we inform you that Wes Craven passed away at 1 p.m. on Sunday, August 30 after battling brain cancer. He was 76 years old. Craven was surrounded by love, in the presence of his family at his Los Angeles home. Craven is survived by his wife, producer and former Disney Studios VP Iya Labunka, older sister Carol Buhrow, son Jonathan Craven with wife Rachel Craven and their two sons Miles and Max; daughter Jessica Craven with husband Mike Wodkowski and their daughter Myra-Jean Wodkowski; and Wes’ stepdaughter Nina Tarnawksy. Craven was predeceased by his parents Paul Eugene Craven, a machinist who passed away when Wes was 5 years old, his mother Caroline, a bookkeeper, and his older brother Paul James Craven. One of the most prolific filmmakers of all time, Craven was also a nature lover and committed bird conservationist, serving as a long-time member of the Audubon California Board of Directors. He was born in Cleveland, Ohio on August 2nd, 1939. Craven was a longtime summer resident of Martha’s Vineyard where he moved permanently 3 years ago before returning to Los Angeles for work and health reasons. Craven was indeed a large influence to the film industry. He wrote and directed the original Nightmare On Elm Street, as well as writing, directing, and producing the entire Scream series. Craven also directed films such as The Hills Have Eyes, The Last House On The Left, Red Eye, and Music of the Heart, which earned actress Meryl Streep her twelfth Academy Award nomination. He also contributed a short to the anthology film Paris, je t’aime, and served as an executive producer for multiple remakes of his own films, including the 2006 film The Hills Have Eyes, 2009’s The Last House On The Left, and the current MTV television adaptation of Scream. Craven was not a consistent filmmaker by today’s standards. Hell, he’s had as many failures as he has successes (Don’t look at My Soul To Take or Cursed). But Craven was passionate, he loved what he did, and he inspired other filmmakers to do the same. I think that’s the most important thing to know of any industry, is to do what you love and encourage others to love what they do. Rest in peace, Wes. Freddy Krueger will haunt other people’s nightmares forever, but he knows to leave the horror master’s alone.